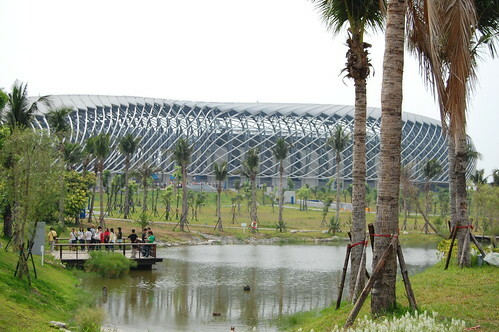 The 'Main Stadium' of Kaohsiung City, Taiwan re-built in early 2009 as the main venue for 'The World Games' held in Taiwan in July 2009, is notable for being World's largest solar powered stadium. 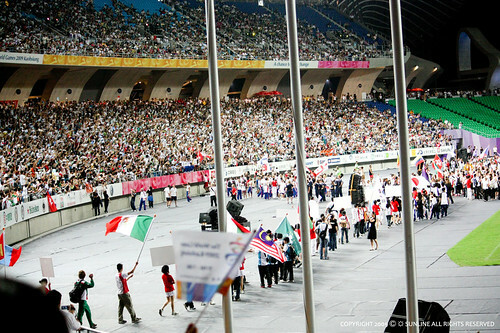 With a seating capacity of 40,000 it was used for the opening and closing ceremonies of the event as well as for Rugby and Disc events. It also meets the international standards for Soccer. 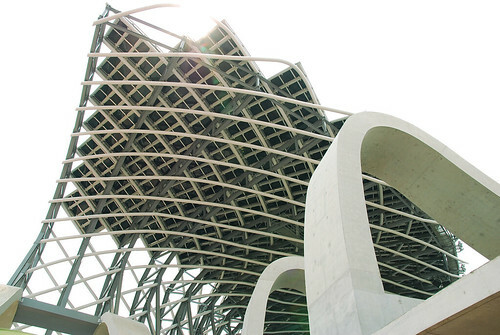 Designed by Japanese architect Toyo Ito, its semi spiral shaped steel roof has 8,844 solar panels capable of generating 1.14 million kWh of electricity per year, which is sufficient to meet its own demand and during non-game period the surplus energy is fed into the grid. 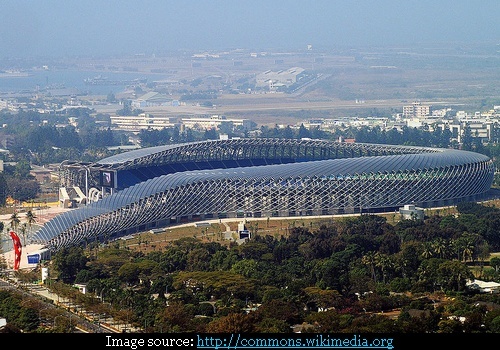 Another notable feature of the stadium is that it is oriented at north-south direction with a slight northwest-southeast 15-degree angle thereby protecting the the field from the south western summer wind and the north western winter wind. This orientation also provides shelter from direct sunlight.